This article was originally published on Middle Grade Strikes Back. I am lucky enough to be spending quite a bit of time in schools at the moment, talking to children about creating magic in writing. One of the first things I ask them to do is to shout out their favourite magical object in any book they’ve read. I stand poised to write the answers on the whiteboard and often there’s a hesitation – not because no one can think of an answer, but because they’re wondering where to start. A fraction of a second later, when I hear that first cry of “Harry’s wand!” or “the Wishing Chair!” the flood gates open and the workshop is carried away on a tide of fantastical artifacts. Often the first in that flood are those from the titles of the classics, like the wardrobe in The Lion, the Witch and the Wardrobe, the ring of The Lord of the Rings and the Faraway Tree in, well, The Magic Faraway Tree. Sometimes there are other iconic objects from the classics like the magic mushroom in Alice in Wonderland, the grandfather clock in Tom’s Midnight Garden and the book in The Neverending Story. Usually there are more recent ones like the Alethiometer in His Dark Materials or Percy Jackson’s sword, Riptide. Sometimes we get lost in the wondrous inventory of a single title, like Charlie and the Chocolate Factory, and I’ll be kept busy at the whiteboard with chocolate waterfalls, Television Chocolate, Everlasting Gobstoppers and the like. Of course one title – or set of titles – offers the best hunting ground, and normally the session contains a deluge of objects from the pages of Harry Potter, from the Invisibility Cloak and broomsticks, to the Marauder’s Map and Horcruxes. Very soon I am running out of whiteboard space, and I call for mercy. And then we look at my scrawl, and congratulate ourselves on knowing an awful lot of magic. I try to make my fledgling magicians feel even more chuffed with themselves by telling them that if I had done the same thing with a room full of adults, the list would be no longer (perhaps shorter), and it would contain many of the same artifacts. Why? Because literature for this age group – our very own Middle Grade – excels at magical objects. Middle Grade is the heartland of the fantastical Thing. 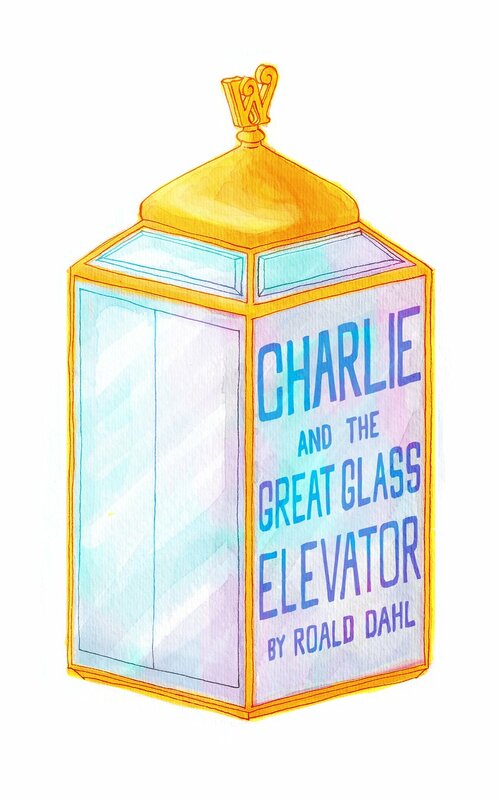 This is where we find the looking glasses and glass elevators and boxes of Turkish delight that fire our imaginations and refuse to leave us, that create an impression so vivid and fond that they enter our very definition of magic. Try it on your parents, I tell them, try it on your teacher! Ask them to name their favourite magical objects, and I wager that many if not most of them will come from books written for you. Isn’t that exciting, I say, that it is the books written for you that create some of the most powerful magic. What does that say about your imaginations? Your capacity to create magic in your minds? And isn’t that exciting for us, we who write some of these books, and work with them, and teach them, and read them with our children. Of course all this raises the question, why is Middle Grade so good at creating these magical objects? And how does it do it? Well, I’m not sure there are definitive answers to those questions, and I wouldn’t presume to try to offer any, but I do of course have some thoughts on the subject. I have to have some thoughts – I’m still only half way through my workshop. It strikes me that Middle Grade occupies that happy and fertile ground between the unfettered imagination of young literature and the more sophisticated and realistic stories of YA and adult literature. Middle Grade can do imaginative – our lists prove that beyond a doubt – but the genre marries the richly imagined with sophistication and realism. Let me give some very quick examples. Consider the moment Lucy first enters Narnia in The Lion the Witch and the Wardrobe. Lucy’s journey through the wardrobe is simply but carefully described so that it is immersive and real. As she enters the wardrobe, Lucy uses almost all of her senses, feeling the furs against her skin, smelling the mothballs, hearing the crump of snow under her feet, seeing the light of day somewhere up ahead. The whole episode is skillfully created to feel plausible, so that the magic itself is almost undeniable. It is an example of how even here, towards the younger end of Middle Grade, a more sophisticated narrative and a healthy dose of realism lift the magic to new heights. While we’re here in the wardrobe, it’s worth reflecting on the types of object that make the best magical artifacts. The wardrobe is a very good example of how something very everyday and real can be developed into something of extraordinary power, both in terms of magic and literary importance. It may be harder to make a wardrobe seem magical – and that’s where the skillful writing is very important – but when done as brilliantly as Lewis did it, it places a portal to another world in every house across the land. 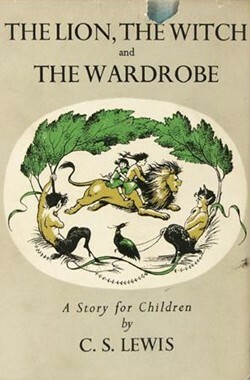 The wardrobe made Narnia seem close and accessible to us all. It is the very humdrum realism of wardrobes, mushrooms, rings, rabbit holes, looking glasses, peaches and train platforms that make them the ideal starting point for immersive magic. If the writing is good enough – and in Middle Grade it really can be – these real things make the magic immediate, tangible and very nearly true. Realism can be achieved in other ways, of course. Take, for instance, the Alethiometer of His Dark Materials. Here the object is superficially ordinary: it is described as “very like a clock, or a compass, for there were hands pointing to places around the dial”. But in every other way, it is peculiar and extraordinary. The hands reveal the truth to the bearer by pointing to symbols around the dial, each of which has several meanings. The symbols are reminiscent of those from the Tarot and other cultural and historical sources – and so in combination they give the impression of the authority and wisdom of the ages. 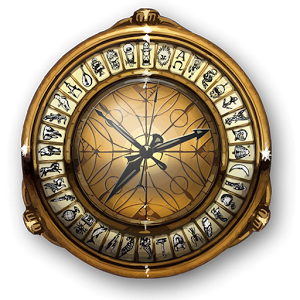 In this way the Alethiometer commands a very powerful and compelling magic not only for Lyra but also for the reader. In its sophistication and sense of heritage, it feels as though it really could be telling the truth. Other Middle Grade writers use complexity and heritage to give the sense of realism. 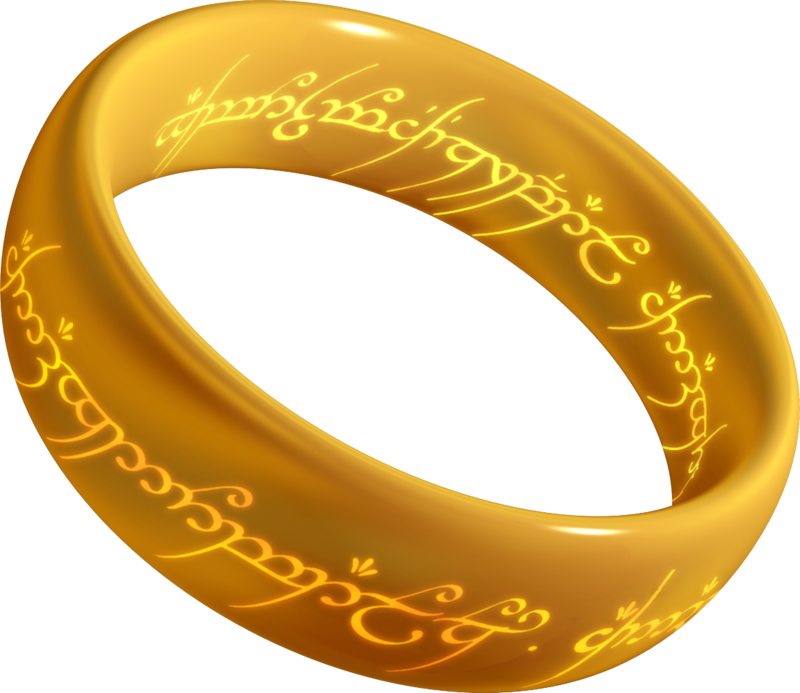 Take for instance the construction and history of the Elder Wand in Harry Potter, or the very long and involved history of the One Ring in The Lord of the Rings. Again, the wonder of these objects is not only in what they can do, but also how real they seem. And with such a rich and seamless history, how could they not be real? And so, back in the workshop, we have talked about all this for a while, and it’s the kids’ turn to make some magic. This is where I bring out my prop: a box of Things. Now this is no ordinary box, it is a box from The Shop of Things, a creation of my own book The Bell Between Worlds. As such, the shop isn’t actually real, but those powerful imaginations are already hard at work and when I produce my old crate overflowing with straw, it hardly matters whether the shop is real or not, or indeed whether or not the class has read my book! They’re ready to believe. And then they come and take out their strange objects (which my family and I have collected from around the world), take them back to their tables and get to work. What do they have to do? Well yes, they have to imagine its magic, think about what it might do if spoken to, rubbed, sniffed, blown, dropped or thrown. But when they come to write this down, they also have to make it real. They write down what it looks like, sounds like, smells like – all those things – but they also capture its heritage, its story. They ask themselves who made it? Where? Why is it dangerous? Who is trying to steal it? Whose life has it saved? And suddenly, right there beneath the tip of their pen, the magical Thing starts to come to life. It has been such a privilege to see what those imaginations are capable of – creations conceived so quickly and effortlessly, and yet many of which are worthy of the best Middle Grade fiction. As a writer in the field, it’s a reminder of how hard I need to work to be worthy of this inspired readership. The next time I sit down to create my own magical Things, I know they need to be very, very good.